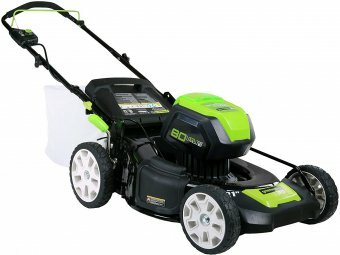 Alphachooser currently focuses on covering riding lawn mowers. 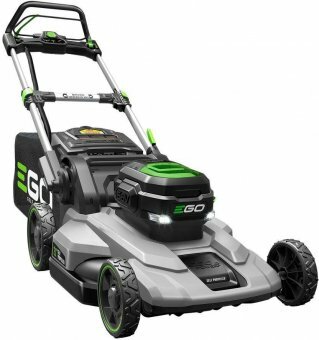 Currently, the best lawn mower 2019 is the EGO LM2100SP, followed by the Ryobi RM480e. 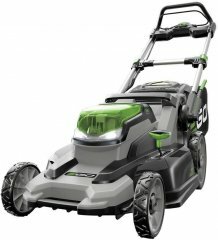 Here is the full top 10 list, then sub-categories and an extensive list of lawn mower brands and models. 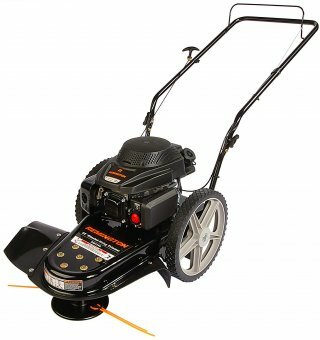 Based on its aggregated rank of 94%, we conclude that the EGO LM2100SP is currently Alphachooser's best lawn mower 2019. Alphachooser also concludes that our sample of 4698 reviews from our sources gives us a high confidence level (more on confidence levels) that justifies calling it a "no-brainer best choice." 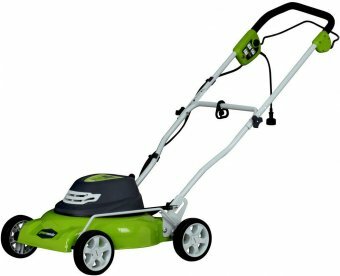 Based on 4.5 stars averaged over 661 reviews, we rank this Ryobi model second best lawn mower. 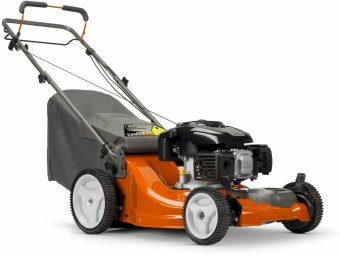 * Our list is based on a full computation of hundreds of lawn mower reviews from multiple sources. Our illustration: The Husqvarna L121FH. Our illustration: The Toro hoverpro 550. Our illustration: The Greenworks MO40L410. Our illustration: The Black and Decker CM2043C. All Black and Decker lawn mowers. Our illustration: The Poulan Pro PRLM21i. All Poulan Pro lawn mowers. Our illustration: The Sun Joe MJ506E. All Sun Joe lawn mowers. Our illustration: The Cub Cadet RZT L 54 KH. All Cub Cadet lawn mowers. Our illustration: The Earthwise 60418. Our illustration: The Troy-Bilt TB105. Our illustration: The Remington RM110. Our illustration: The WORX WG744. 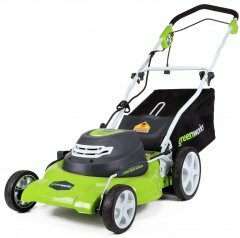 Our illustration: The Murray 24-inch rear engine riding mower with mulch kit. Our illustration: The Powersmart DB2194P. Our illustration: The EGO LM2100SP. Our illustration: The Snapper 7800849. 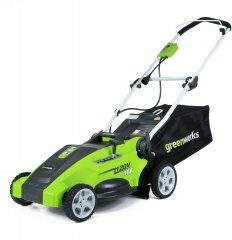 Our illustration: The LawnMaster CLMFT6018A. Our illustration: The Ariens IKON X 52 Kawasaki. Our illustration: The Craftsman M110.